Product #55597 | SKU UM.PX1SA.001-D10 | 0.0 (no ratings yet) Thanks for your rating! The Acer Predator XB1 Monitor, named after a fierce hunter - The Predator. With Flicker-Less technology, Adjustable height and rotation stand, 1ms response time and Twisted Nematic Film panel. 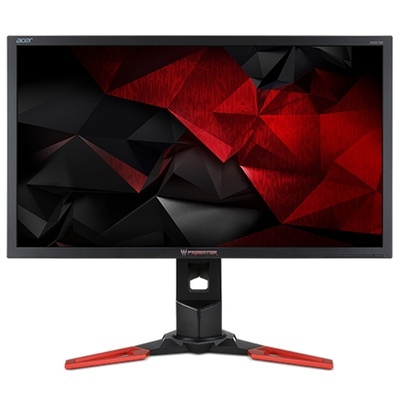 4K and G-Sync compatible, this monitor supports ultra high resolution viewing with DisplayPort, HDMI and 5 USB 3.0 ports to connect and charge your other devices.